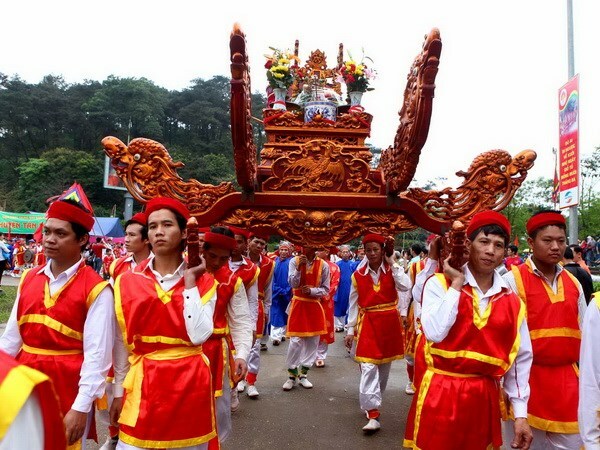 Every year, on the 10th day of the third lunar month, Hung Kings Ancestral Anniversary day is held at Hung Kings temples nationwide, of which biggest one takes place in Hung Kings Temple Relic Site (Phu Tho Province). In Phu Tho, each village selects a Festival Organizing Board (Ban Khanh Tiet) of 6-9 mature, knowledgeable individuals of good conducts who lead and manage the rituals. The Board appoints suitably expert temple guardians to tend worship sites, instruct devotees and offer incense to Hung Kings year round.